Nora our sweet pooch, has struggled all her life with hip dysplasia from the age of 2 years old. After hip surgery to relive the pain from her hips, she has always lived with mobility issues. She struggles with medication for ongoing seizures which have also weakened her hind end, adding to the ongoing issues. She was also recently diagnosed with neuromuscular disease. We have always taken her to a rehab and pain management Doctor, using many different supplements and medications to aide in her struggles with pain and mobility. At one visit, our Doctor recommended we try Myristol to see if it could be of benefit to our sweet girl. After trying it for 1 month Nora went from a slow tedious walk, to a “run” down our driveway. She, at the age of 12 1/2 has moments when she plays like a puppy again. I would definitely recommend using Myristol, as the results for our girl have been beyond what could have been expected! We have been using Myristol for approximately 3 years. We first started giving it to our oldest Border Collie Abby when she was 12 as she was becoming arthritic and would limp quite badly when she got up from her bed. After about 3 to 4 weeks we noticed a great improvement in her mobility and she continued to improve to the point where she didn’t limp at all. She is now 15 years old and is as spry as ever. We also started giving Myristol to our Golden Retriever Luke when he developed an egg sized lump on his front foot and began to limp. Even though he was only 6 years old at the time, it was diagnosed as arthritis. After a month of taking Myristol the lump was significantly reduced and the limping was gone. Luke is now 8 and shows no signs of slowing down. We have recommended Myristol to some of our friends and boarding customers whose dogs showed signs of soreness due to arthritis and they have had similar results. 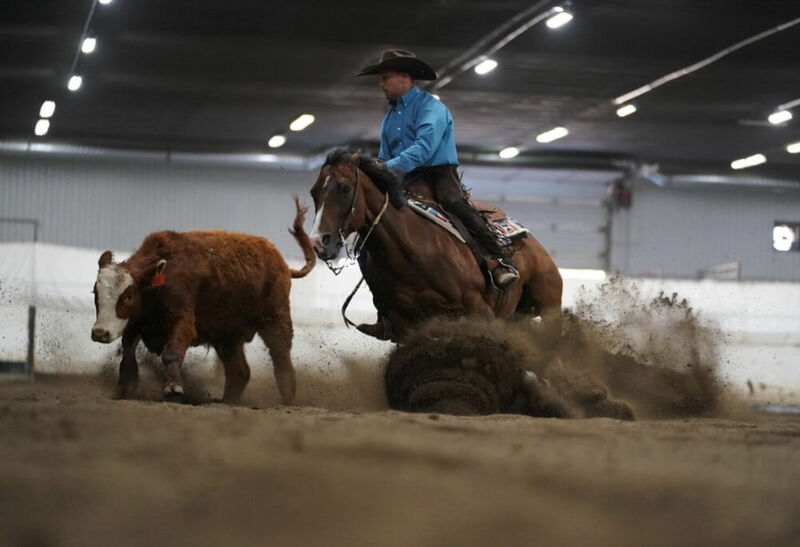 I am awaiting the pictures from the Northern Alberta Reined Cowhorse Club’s year end Extreme where she was second high score herd, and tied high score rein and fence(against the open riders, and most of whom also entered and/or won Canadas Greatest as well). As you are aware, she has been on your product since a 3 year old, and is still going strong at 11, recently topping her lifetime high herd work score. Having a horse peak at this stage in life is a testament to her support system, and Myristol has been an integral member of that system for nearly a decade. 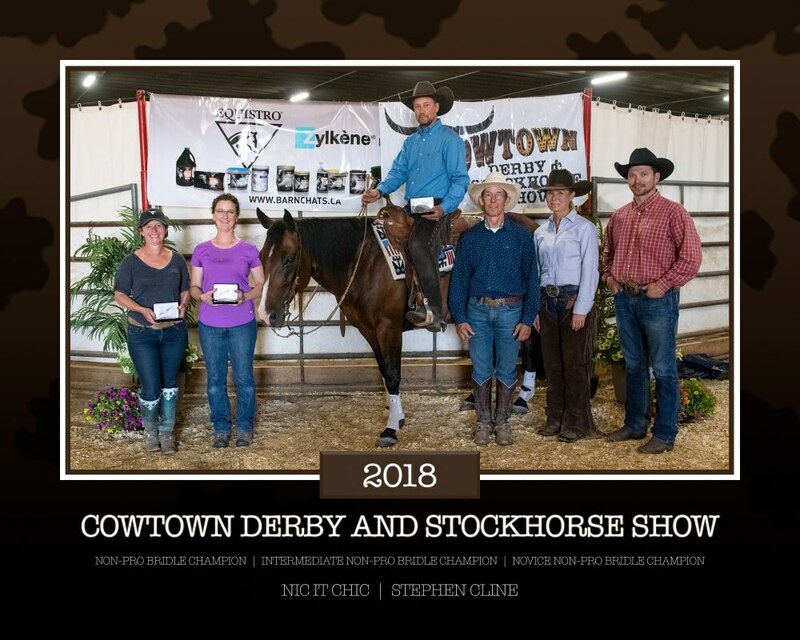 Her accolades this year are impressive, winning Reserve Novice Non Pro Bridle at the Stallion Stakes in Las Vegas, sweeping all 3 Non Pro Bridle Divisions at the Cowtown Derby, Winning the Non Pro Bridle Spectacular at the Canadian Coastal Reined Cow Horse Association’s Cow Up on the Coast in Chilliwack, B.C., winning the Novice Non Pro Bridle Spectacular at the Alberta Snaffle Bit Futurity, and clinching the Year end high point horse and rider for the Alberta Reined Cow Horse Association’s Novice Non Pro Bridle class, as well as both the Novice Non Pro Bridle and Intermediate Non Pro Bridle NRCHA Canadian Affiliate divisions. Her earnings this year are over $10000, a significant number in any circle, but especially considering they were all Non Pro divisions. Our sights are set on The NRCHA Celebration of Champions in Fort Worth, Texas this coming February. Thank you to Myristol for helping keep Nic it Chic healthy and happy throughout this busy year! I’ve personally used, and professionally recommended Myristol for years. The supplement market is largely unregulated, which does not guarantee you quality, formulation, or consistency of the product you buy. Myristol was formulated through the extensive experience of Dr Trotter and proves to be a tried and true product that you can put your trust in. If you’re looking for joint health, look no further. Our cow horse mare started on Myristol after a pasture injury as a 3 year old. There was marked improvement in her range of motion and her healing time was minimal. We decided to keep her on it while returning to competition and the difference was huge. She stays on Myristol during the show season and has yet to need injections, even though she has showed steadily since her 4 year old year. She is now 10, places consistently in tough Non-Pro classes and recently scored 150.5 down the fence to win her two divisions. Myristol has been integral to her career longevity. Thank you for manufacturing a product that is scientifically tested, veterinary approved and has stood up to its claims. I heard about Myristol through a friend of mine who is an amazing vet. Tobi was showing signs of hip dysplasia before she was a year old. I reached out to my friend asking her about glucosamine for dogs and she said try Myristol she has heard awesome things about it. So I placed my order and we are so happy we did, we have seen a huge improvement with Tobi who is now three. She seems to be sitting better, getting up from laying down and running around. We are very happy with the results thank you Myristol 😊!